Hartlepool United are renaming their Victoria Park ground as ‘The Super 6 Stadium’ after agreeing a sponsorship deal with Sky Bet. 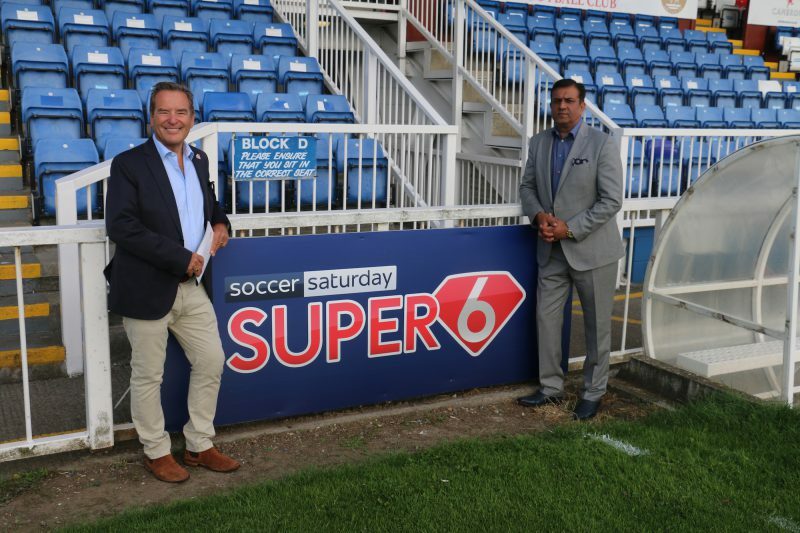 Honorary Pools president Jeff Stelling said Super 6 had helped the club fulfil it’s ‘Never Say Die’ motto, as a landmark sponsorship deal for the naming rights of Victoria Park was announced. The Soccer Saturday presenter attended Hartlepool’s opening home game of the 2018/19 season, a 2-2 draw vs Harrogate Town, the first fixture at the newly-christened Super 6 Stadium. The sponsorship deal, described by Pool’s Chief Executive Mark Maguire as ‘huge for the club’, will also see the club display the Super 6 logo on the back of shirts. Stelling said: “At the end of last season, we were on our knees, we were close to liquidation and while we haven’t exactly been littered with success over the years, this is a football club with great support, great tradition and Super 6 have helped it survive. “The club motto is “never say die” and Super 6 have helped us fulfil that club motto. Stelling, an instantly recognisable face to football fans, is well known to be a huge supporter of the County Durham club and dipped into his own pocket to save the club from going under. “The club was financially on our knees and we needed a saviour. That saviour is the current chairman, Raj Singh. “Craig Hignett, who’s the Director of Football, introduced me to him and we worked together as best we could. He added: “I think one of the great things this season, though, is the fans have been fantastic. “They’ve been realistic, they know that our regime is going to be a bit more austere than the previous one, this football club is going to be run like a proper football club, rather than a plaything. Maguire commented “This is absolutely huge for the Club, it’s been a really positive summer but to secure this deal elevates us commercially and will demonstrate our ability to deliver value to a multi-national company. “Of course a huge part of this has been the involvement of Jeff Stelling in the Club. Jeff is held in such high esteem at Super 6 that they were keen to support him in the venture with his beloved Pools.